Mariners are advised that the following special mark buoys designating the seaward working area of the new pier at Brodick Ferry Terminal, Isle of Arran have been discontinued and will be permanently removed today. The works will be undertaken by MV Coastworker who will be on site between approximately 11:30 and 15:00hrs. The vessel will maintain a radio watch on channels 12 and 16. 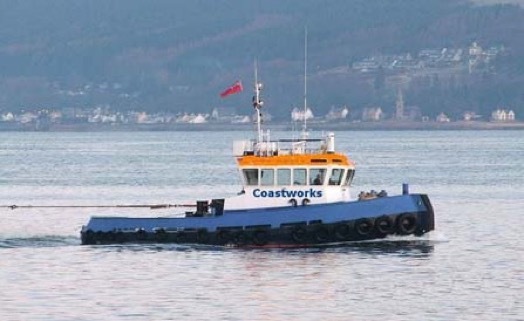 It is requested that vessels approaching Brodick maintain a lookout for this vessel, passing at a safe distance and speed to reduce vessel wash.
Mariners are reminded that to ensure safety during the final construction works the new pier remains closed to berthing by all unauthorised vessels. Unless an emergency exists only those vessels engaged in the works or authorised to undertake berthing trials are permitted to berth on the structure.